FIRST thank ya’ll so much for all the sweet comments on yesterday’s post. I had to go out and buy a new pillow to accommodate my expanding head and some new pants that give me room to swagger! ;) Ya'll are the best and I appreciate every comment. Isn’t it funny how a certain smell can bring you right back to a specific time in your life? There’s bottles of fragrances just hiding out under my sink that I just don’t wear anymore because I feel like they don’t belong in the present – they’re too reflective of a certain time or age in my life. But I’m a firm believer that every girl should have a signature scent. I’ve worn Noir for a couple years now but never feel like I can smell it after an hour. Rina told me I always smell “clean” but not so much like perfume. I suppose clean is a good smell but not exactly the most exciting. 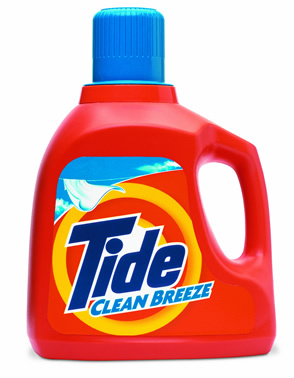 Now don’t get me wrong, I ADORE the smell of some Tide but on those days when you don’t feel like smelling like the inside of a washing machine, a good perfume comes in handy. During my breaks from college I worked as a fragrance consultant (i.e. glorified Belk employee) and ever since have had an affinity for perfume and sniffing out the latest aromas. Seriously – this is when a scratch and sniff app would so come in handy. Apple really needs to get on that. Have you girls tried any of these? What’s your signature scent or recommendations? i know it's old school but i've always loved the smell of clinque happy. i think that was my first "big girl perfume" i ever owned. well...there was CK one...but we won't go there. everytime i run out of a perfume i get a new scent. i recommend Givenchy (sp?) Play or DKNY Blossom. Those have been my lastest faves. 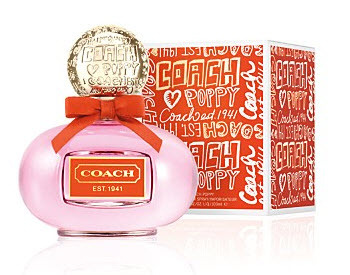 I have been wanting to get the Coach Poppy perfume. I love it! Right now I'm wearing Marc Jacobs Daisy and in the winter months I wear Burberry London. Love them both! 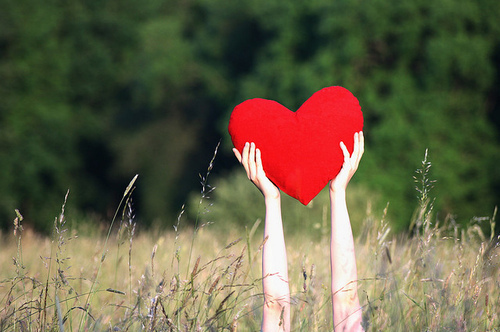 I just checked out yesterday's photos - you are gorgeous!! Those photos rock. My signature scent is Chanel Chance, which I love. Lol, I was just saying that the other day - there needs to be some way to send scents over the internet! My favs are Channel Madamoiselle, Versace Crystal Noir & Dolce & Gabbana (the red bottle). But I'm definitely always on the market for more! I thot the Tom Ford was really nice! I've caught mom literally shoving her face into just cleaned towels because she loves the smell of Downey and Tide so much. I also love it! BUT..probably one of my favorite perfumes is Viva La Juicy by Juicy Couture, or any other Juicy...YUMMY!! i've been wearing the michael kors one for awhile, in that pink bottle and i like it. it's soft but pretty smelling. My signature is anything Burberry but my new fav is Daisy by Marc Jacobs..smells so good! Thanks for the recs! 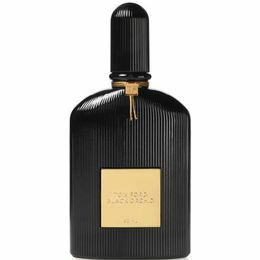 I'm currently using Versace and really like it, but it's almost up so maybe I'll go for something new! my friend got in my car yesterday and made the whole thing smell awesome! she was wearing Burberry Brit, and I find my reaction is the same every time someone wears it! I am kind of obsessed with guys that just smell clean. Like they just washed their shirt, showered, and applied some deodorant. It makes me want to snuggle. i love the coach poppy scent - totally want that for my summer scent! I completely agree with you..I have almost full bottles of perfume in my drawer that I don't wear anymore because of the time it makes me think of. I recently got Coach-Chance and Michael Kors-Very Hollywood..they both have a very 'springy' scent and I love it! i switch perfumes every day... probably not a good thing. im in love with perfume so i have a ton. i love marc jacobs daisy, vera wang princess, the roxy perfume, and a hollister one. those are definitely my favorites but im dying to get viva la juicy and the coach poppy. so you should get the poppy - but that's coming from someone who hasn't smelled the other two. I love Lola by Marc Jacobs! i am so bored with my current perfume (chanel chance), so i may need to check out these suggestions!! i've been wearing Tokyo Milk #15 (French Kiss) all winter, but i think i am going to switch to SJP Lovely or Fresh Brown Sugar for the summer. P.s. I'm your newest follower, so I can stalk you too!! I agree, everyone needs a signature scent! Also, I totally agree with you about a sniffable app! That would be awesome! I love Coach's Poppy Perfume! My fave is Juicy by Juicy Couture. 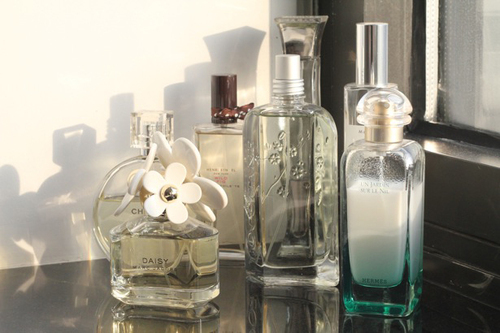 I have two shelves of perfume in my bathroom and wear different fragrances depending on my mood/time of day. The ones I wear most often are J'adore by Dior, Pure Poison by Dior, Sentiment by Escada, Chloe, and Valentino among others.I don't really have a signature scent, either. I get bored easily with the same perfume, so I like to switch it up from time to time. 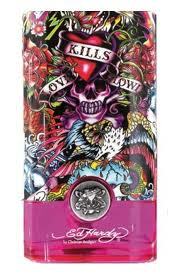 My friend wears Ed Hardy and it smells really good! Britney Spears' Believe (guilty!!) fragrance is my absolute favorite and has been for several years now. I had to ask my husband what the name of the scent was and he knew the name before I had the chance to look it up! My fave is Viva la Juicy by Juicy Couture. yummmmmmy.